Poker's most beloved ambassador -- WPT host and commentator Mike Sexton - edged out "Kid Poker" Daniel Negreanu after 17 hours to win $1 million at the WSOP's Tournament of Champions. Sexton says he will donate half of his winnings to several charities. (PRESS RELEASE) -- The Small Town Poker Tour will kick off round one of 2006 STPT Amateur Championships July 29 in Monroe, LA. host Charity is the Monroe Lions Club and the proceeds will benefit the Uniformed Law Officers of Ouachita Parish Louisiana. In addition to helping the charity there will be a prize pool of over $10,000, with the winner getting a $3000 Visa Gift Card plus a seat at the STPT World Amateur Championships in Las Vegas. The event will be held at the Atrium Hotel in Monroe LA, July 29 and 30. Buy In is $50 plus $10 registration fee. The tournament is open to all poker players from around the world, the top state finisher as well as the event winner will move on to the STPT World Amateur Championships. "We are eager to bring this event to Louisiana", Stated STPT Executive Producer Mark Fracalossi. 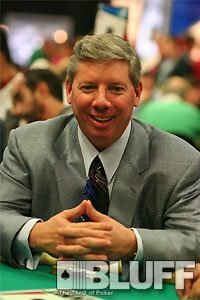 "Poker is a great sport and I can't wait to see the talented players we find in the south. We want our events to be affordable, so the average player can get the big time event experience without the cost, plus raise as much as possible for the local charities." Fracalossi added. The Small Town Poker Tour is the world's largest amateur poker tour, with emphasis on raising money for charity, and finding the worlds best amateur poker players. This event kicks off the STPT's American leg of the quest for the number one amateur poker player in the world. The STPT also lends its hand behind the scenes in many high profile charity, corporate and celebrity events. "We work with many celebrities and charities who want to use poker as a tool to raise money for their cause." Fracalossi said.